If a photocopier and a screen printer had a baby, it would be the Risograph printer. Created in Japan in the mid ‘80s, they’re often used by schools and churches to churn out large amounts of brochures at a very low cost. Like screen printing, you can use different vibrant inks to layer many different colors on one at a time. This makes the Riso printer a great tool for designers and artists to create everything from zines to art prints. Join us in our Oakland studio for a morning of Riso printing, coffee and treats. We’ll run through the basics of how a Riso printer works, what it does best (and what it doesn’t) and how to think about integrating Riso printing into your work. Each person will then be given time to make their own 2 color print to share with the group and take home with them. PROJECT BRIEF: In thinking about this project, it’s easiest to approach it as if you were making a small screen print. Artwork can be created digitally and then printed out of a laser printer, or created by hand directly on paper (as long as the art is prepared for 2 color printing). Avoid tight registration and small details that need to line up for this exercise. Create something that uses 2 solid colors. Max size: 8.5x11. Print out your 2 master sheets on a laser printer and bring them with you! 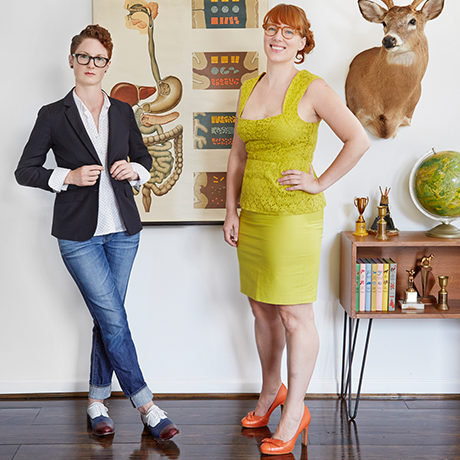 Guts & Glory is a design studio founded by ginger partners in crime Faun Chapin & Meg Paradise that specializes in building well crafted brands. They seek to constantly push boundaries, provoke ideas, question forms, interrogate expectations, and generally meddle in creative mischief. Faun holds a Masters in Design from Yale. Her work has been shown in New York, Berlin, Los Angeles and San Francisco. Faun has experience building and leading creative teams at advertising and branding firms with a client roster that includes Nestle, Unilever, P&G and Coca-Cola. She has been awarded for this work with both a Cannes Lion and an Obie award. Meg is a nimble maker, combining big-picture thinking with an obsessive eye for the craft of design. She studied advertising and photography at Syracuse University and has worked for a variety of well known design studios before co-founding Guts & Glory. Her work has been recognized by Communication Arts, Print magazine, HOW magazine, and The Type Directors Club of America. Since founding Guts & Glory, their work has been featured by numerous news outlets such as the Melissa Harris-Perry Show, New York Magazine, and Time Magazine. In 2013 they appeared on The War Room to discuss their controversial gun control advocacy project, They Don’t Work For You, which received a Justified award in 2014 by the AIGA.